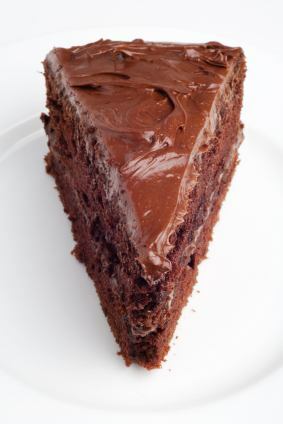 My homemade cake recipes are a chocolate lovers dream. These are the best homemade chocolate cake recipes from scratch for you to call your own. These easy scratch cake recipes are simple to make. Cake decorating ideas and homemade frosting recipes below. These chocolate cake recipes are my favorite and most requested homemade chocolate cake recipes from scratch. For those who had problems with cakes rising, I found this explanation of Dutch process cocoa which can make difference in the results: When it comes to baking, be sure to use the type of cocoa specified in the recipe. Those that are leavened with baking soda require natural (non-Dutch processed) cocoa so that the alkalinity of the baking soda can neutralize the acidic cocoa. Homemade cake recipes leavened with baking powder require Dutch-process cocoa to maintain the neutral pH of both. With any homemade cake recipe, MAKE SURE TO SIFT THE FLOUR WHEN MAKING THE CAKE. You will use way too much flour if it is not sifted, resulting in a very dry, tasteless cake. Use Wilton's Bake Even Strips on your cake pan to level out the top of the cake - no trimming. You can find more cake baking tips here. An easy cake recipe when you don't have time for homemade. Wonderfully moist and decadent for a "box cake." This recipe is all over the internet and I know why. You will get rave reviews every time. Photo above. Mix the cake mix, pudding mix, sour cream, oil, eggs and water together until smooth. Fold in the chocolate chips and pour into a greased bundt pan. Bake for 50 to 55 minutes or until toothpick inserted in the center comes out clean. You may also use two 9 inch cake pans and make a layer cake. This homemade cake recipe is adapted from Jean Tews via Wisconsin State Journal. PREHEAT oven to 350 degrees. Adjust rack one-third up from the bottom of the oven. Butter a shallow 8 inch square pan and set aside. Sift dry ingredients into a mixing bowl. Add the milk, vanilla and melted butter. Beat until smooth and slightly pale in color. Remove the bowl from the mixer and stir in the nuts. Pour into the buttered pan and smooth the top. Let stand. In a small saucepan, combine all ingredients together. Stir over medium-high heat until the sugars melt and mixture comes to a full boil. Gently ladle the boiling hot mixture over the cake batter. Bake for 40 minutes until toothpick inserted in the middle comes out clean (during the baking process the topping will sink to the bottom of the pan). Set aside to cool in the pan. Turn cake upside-down on a platter. This can be served warm, room temperature or frozen. Serves 8 or 9. If you never want to search for a chocolate homemade cake recipe again - this is THE one. This is a beautiful rich chocolate cake recipe and is an excerpt out of Dorie Greenspan's cookbook, "Baking From My Home to Yours." This recipe delivers it all; a fragrant, rich, and moist cake that will be devoured in no time. THE CHOCOLATE LOVER'S DREAM CAKE. Preheat oven to 350 degrees and grease/flour two 9" cake pans. You may also use a 9x13 pan or bundt pan if you wish. Sift your flour first and measure out 1-3/4 cups. Place this in a mixing bowl and add the sugar, cocoa, baking soda, baking powder and salt. Make a well in the middle of the dry ingredients and add the egg, coffee, buttermilk, vegetable oil, Kirsch and vanilla extract. Beat for two minutes (time it) and pour the thin batter into the prepared cake pan(s). Bake for 35-45 minutes or until a toothpick inserted in the center comes out clean. With this homemade cake recipe, you can frost it with your favorite frosting after it cools completely. *To make buttermilk, you need 1 cup milk and 1 TBS vinegar. Let sit for 5 minutes and then it's ready for the recipe. **Kirsch is a dry, clear brandy distilled from black morello cherry juice and pits and infused with their aroma and taste. Made in Germany, France and Switzerland, kirsch is colorless because it is not aged in wood. Most prominently known as a flavorful addition to fondue and cherries jubilee. Not to be confused with creme de kirsch; a sweet cherry liqueur. You must buy this in a liquor store though - not many small stores carry it. It's great to have on hand for this homemade cake recipe and many more. This was my great-aunt Bernice Kellogg's recipe. We always doubled the recipe. It's a deep dark cake and so moist. I use a seven minute frosting with this beauty. In a large bowl, melt the four squares of semi-sweet chocolate in 1 cup of hot water, and cool until it is lukewarm. Then add the sugar, flour and soda and beat for one minute. Next add the vegetable oil, eggs, buttermilk and vanilla. Mix well and pour into a greased/floured 9x13 inch pan. Bake for 30 to 35 minutes or until a toothpick inserted in the center of the cakes comes out clean. You may also serve this warm with homemade vanilla ice cream or homemade whipped cream. It is a beautiful cake. PREHEAT the oven to 350 degrees and you will need greased 9x13 pan. Cream butter and sugar, and add one egg at a time mixing well after each addition. Sift the flour, baking soda, cocoa, cinnamon and salt together and add to the creamed mixture - while alternating with the applesauce. Bake for approximately 30-35 minutes or until a toothpick inserted in the center comes out clean. As soon as you take it out of the oven, sprinkle with sugar and then chocolate chips. Serve warm.